I have enjoyed Beaujolais Crus and the “nouveau” for years. The arrival of the Beaujolais nouveau was always exciting as it was celebrating the summer we just left, but also announcing the winter ahead. We knew that Christmas was just around the corner! 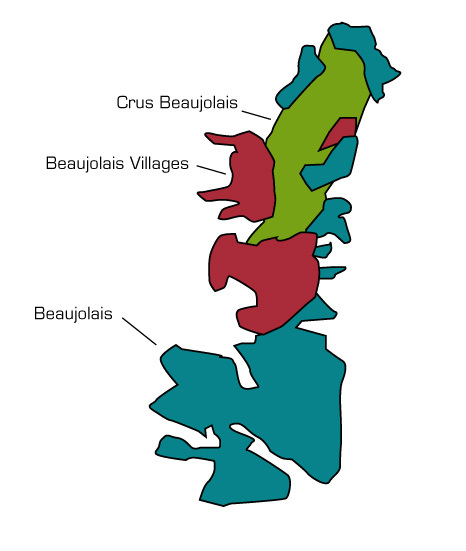 I have always been a strong advocate of Beaujolais wines as the diversity of its 10 crus offers a wide diversity of taste and flavors, each expressing a different soil. Beaujolais is a fantastic wine region, but well underestimated. The region produces mainly red wine from the Gamay grape, but consumers are showing an increasing interest in the white wines for their fruity and fresh fragrances. The trademark of the Beaujolais wine making is the whole-bunch, semicarbonic maceration vinification that brings its noticeable fruity taste. Beaujolais region is mainly know abroad for its “primeur” wine, the Beaujolais nouveau, which hits the market the 3rd Thursday of November. The fame of Beaujolais nouveau has both positive as well as negative critics. The lack of quality from some producers pushed the market to value it as a poor wine. Nevertheless, a Beaujolais nouveau can also be a pleasant and seducing wine when it is correctly done. This more realistic opinion contributes to put the other 10 crus from the Beaujolais region on the map for consumers. Wine has been produced in Beaujolais area for centuries, supplying the city of Lyon and its now famous “Bouchon”. 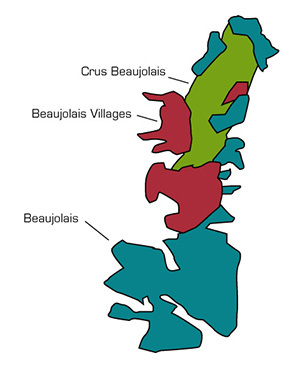 Beginning in the 17thth century, Beaujolais became widely popular when the Briare Canal opened and the abolition of Burgundy Taxes to transport wine allowed shipment to Paris, the major wine market and gateway. We bring French wines crafted by talented men and women to the US market, focusing on top vintners from well-known and new wine regions, expressing their unique terroir.